On January 6, 2016, the New York Public Library announced that it has digitized over 180,000 public-domain images. Cool! It’s available here at www.nypl.org/research/collections/digital-collections/public-domain. 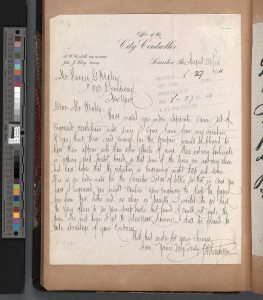 You can try searching for an image, as I did to find this 1904 letter from Costello to Healey. It was interesting to see that in 1904 he was writing on city stationery; images of later letters are shown written on his own letterhead. Also interesting is this remix by Brian Foo of NYPL Labs that provides an interface for searching by color, dates, genre, or color. The usability leaves something to be desired, not the least of which is performance. Ideas for improvements come to mind immediately. Of course, the remix is only as good as the data, which seems to still be somewhat spotty. If you’re a techie (or even a wannabe like me), see the source code (mostly Python) for the remix on Github. I’m tempted to try my hand at it. The data is here, and the API. I found this scribal pattern book fascinating. 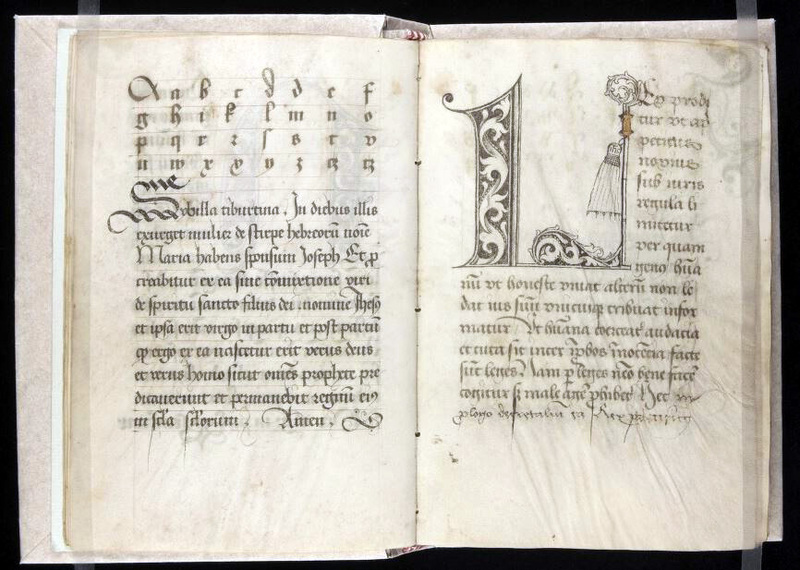 Link to full online catalog of the book at Yale’s Beinecke Rare Book and Manuscript Library. Yes, more than 1,000,000 images! You can get it in a steady stream via the The Mechanical Curator, a Tumblr blog which hourly posts randomly selected small illustrations and ornamentations. Or you can dive into their Flickr photo-ocean — I know that Flickr calls it a photostream, but in this case it’s an ocean. 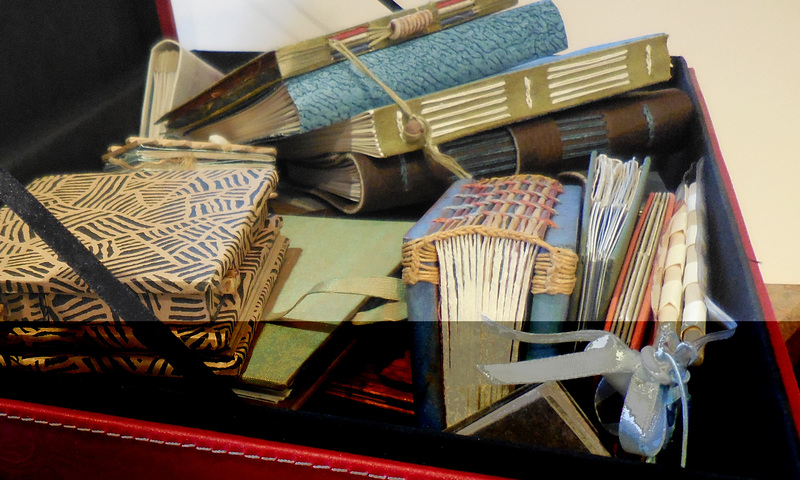 It’s organized by album (e.g., musical instruments, architecture, children’s books, cycling, technology, ships …). 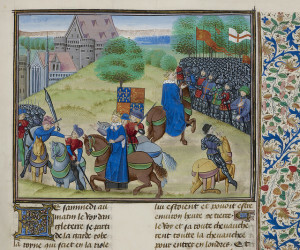 Caption: The Peasants’ Revolt in England in 1381. The scene of conflict and the death of Wat Tyler, leader of the peasants by the sword. The search function is not as helpful as it could be — keywords such as “batarde”, “manuscript book”, and “Netherlands” failed to turn up this image. I found it, instead, by scrolling through the album entitled “Images Online: a selection“. Still, what an incredible resource!